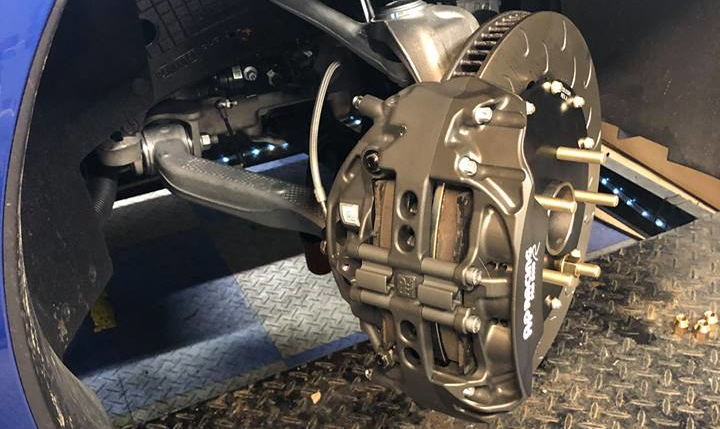 We just released a new tech article on our blog titled, "Track and Racing Brake Pad Owner's Guide". Please check it out. Thanks! One of the final processes in race pad manufacturing is called “scorching”. When pads are formed in a press, some quantity of binders or resins remain on the friction surface of the pad. During scorching, the friction surface is blasted with flames in an oven to burn out some of those surface resins. If those surface resins are not removed via scorching (and a proper bed-in), those resins can melt or vaporize during any initial hard braking events, leading to an unstable friction level. This phenomenon is frequently referred to as 'green fade' (green as in “new”). One can think of scorching as an incomplete form of bedding, or the step prior to bedding (also called burnishing) the pad on a brake disc. Scorching improves the likelihood of a successful bedding process by reducing the chance of uneven pad deposits on the disc face. Many race pads today are being marketed as "pre-bed," but unless the pad has literally been run on a disc face, they are only scorched. A complicating factor when considering pad and disc wear is the pad transfer layer. 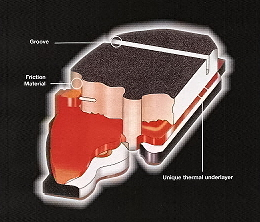 A pad transfer layer occurs when a brake pad is heated to a certain temperature, and an ultra-thin layer of friction material transfers to the disc face. The goal is to gradually bring the pad to that temperature and build an even transfer layer on the disc face in a controlled manner. That is accomplished through the bed-in/burnishing procedure (see our video on that topic here). When heated, pad material is constantly being transferred back and forth from the disc face to the pad face. Quite an interesting and educational read. Learnt a thing or two that will be helpful when I change my pads over. Thanks! Fantastic article, perhaps long overdue. Nice to see AP Racing calipers and J hook rotors in an earlier picture. Great article, lots of information, thanks for posting. Great article, very useful information. Thank you. It was a pleasure to meet one of your reps at VIR this Monday and Tuesday. Hopefully you guys can help me fix the braking on a 2018 M5. Have used a lot of pads from you guys over the years. @jritt@essex Great article. Thanks for the information. One question though - what is pad taper? I didn't see an explanation for this, unless I missed it. It's when, for example, the rear of the inboard pads wears faster than the front of the pad (not exclusive to inboard pads but that's where I have had the issue in the past). It's basically uneven wear from heat, etc., which impacts braking performance and bite. But I'm not OP, so if he meant something else my apologies. Very informative. Thanks for taking the time to write this guide.